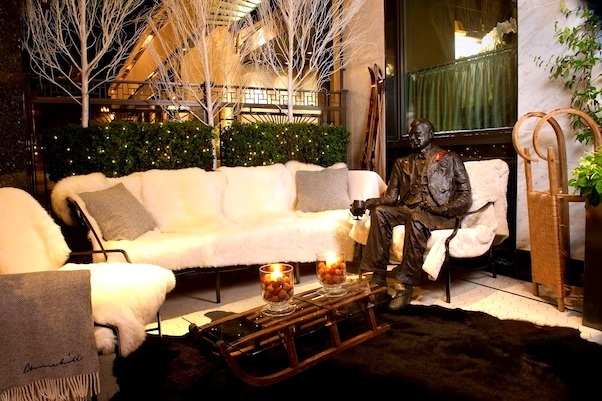 The Churchill bar is just off Bond Street, making it already the ideal get away from the manic Christmas shoppers. But now they have transformed their terrace into a Narnia themed winter wonderland. 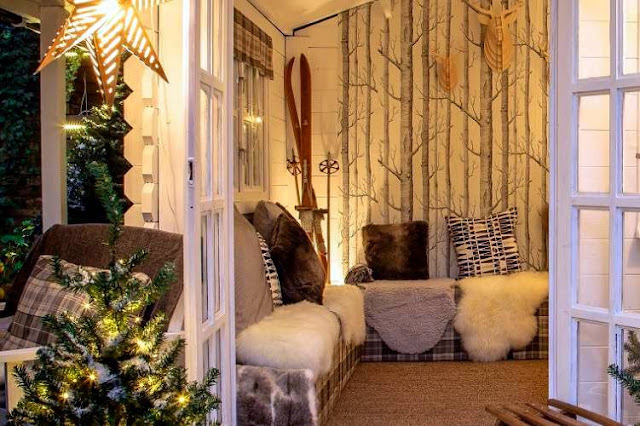 You actually step through a wardrobe door into a snow covered sheltered terrace, complete with fur covered seats, heaters and even hot water bottles meaning you’ll stay snug and warm even outside. Yet if that isn’t enough, then their warm cocktails will soon heat you up. Oh and for the indulgent ones, they even have a cocktail menu curated by Green & Black’s. Now that’s what winter is about; chocolate and booze. Fancy something a bit more luxury? 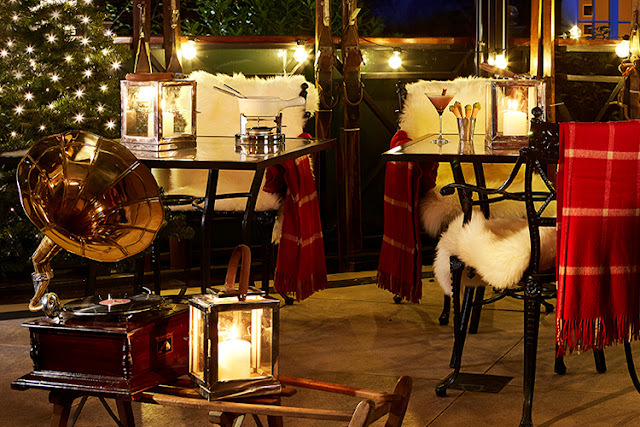 Well The Goring have only gone and opened up a pop up- the St. Moritz Ski Bar. Bringing alpine glamour to central London, there are vintage skis, fur throws and a touch of Ella Fitzgerald and Frank Sinatra playing from vintage gramophone in the corner. Cocktails are of the winter but glamorous side and Swiss-inspired canapes are of the luxury kind thanks to Michelin-starred chef Shay Cooper. What could be more perfect? Well the waiters wear classic Christmas jumpers. I think that tops it off. Now open from 6pm each evening until February 2016. Reservations are not required. Forza Winter pop ups are something of legend in London. Everyone looks forward to them each year, as it’s a good old knees up with lots of food and booze thrown in. 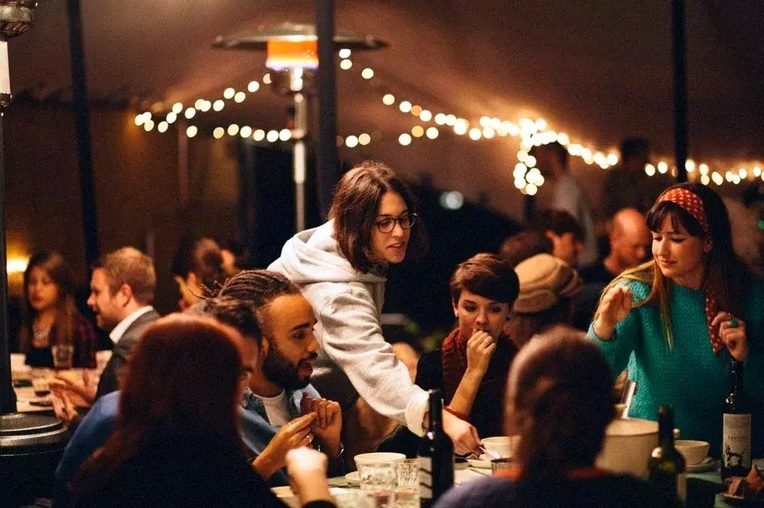 It’s a real fireside feast, served communal style on wooden benches with spit roasts in the background, woodfired porchetta, pumpkins, chesnuts and cheese fondue. So grab your blanket’s your signing voices (someone always starts signing round the fire) and an empty stomach. Ticket’s sell fast, so grab one quick. The creative teams behind a number of the top UK festivals and the Heartbreak Hotel in London have come together to create the ultimate drinking, dining and immersive theatre experience to help celebrate the dark side of Christmas. 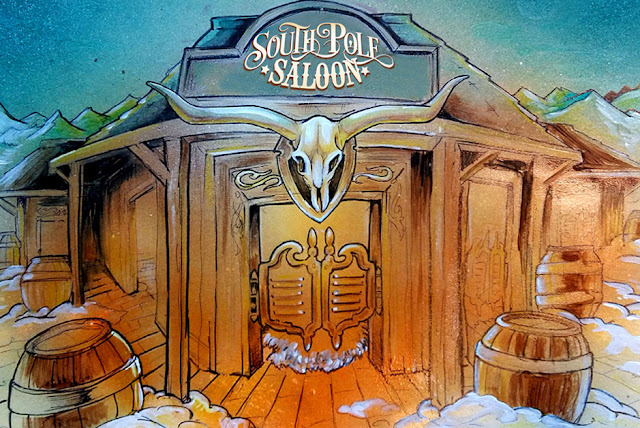 Set under a covered rooftop in the heart of Brixton, the South Pole Saloon is a Christmas dive bar that certainly is more naughty than nice. With a selection of winter cocktails on offer including Hot Tennessee Toddy’s and Chocolate Old Fashioneds, along with some of London’s favourite headline DJs, the dance floor is set to come alive. This may also be the event where you can wear your naughty elf outfit and get away with it. The Queen of Hoxton’s new winter rooftop pop-up is their most ambitious concept yet. Once Upon A WigWam, will cast its spell over the skies of East London with the help of festival production maestros, Mad Ferret. 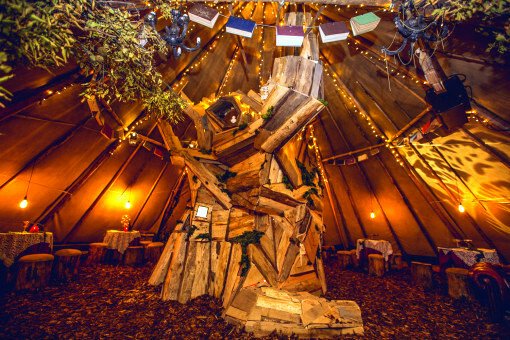 This year it is inspired by the Grimms’ brothers Fairy Tales, with an enchanting forest, fire pit's, dancing and even a tree house, all paired with a magical fairy-tale inspired menu’s, all under a wigwam on a roof of course. If drinking isn’t your thing, then there are also some unique and workshops on in the wigwam including Gingerbread House Decorating and Christmas Wreath-Making, to help get you in the winter spirit. The York & Albany’s Winter Chalet, is housed in the courtyard of their townhouse bar. Only a stones throw away from Regent’s park and the hustle of Camden, it’s the perfect hideaway. Decked out like a mountain retreat, with lanterns guiding your way to an open fire roaring. Wrap up in soft blankets whilst eating such feasts as raclette, venison kromeski and baked Alaska, and drinking Winter Spiced Old Fashioned and Bombardino and Cream. Hire for four to twelve people exclusively (minimum of six people on Fridays and Saturdays). Which ones will you be going to this year? The Winter Chalet's blankets and cosiness sounds perfect for winter - especially if, like me, you won't be heading off anywhere for some winter holidaytime! want to visit all of them right now!! !